I joined in the year 2011 and the first time I stepped in here, I was very excited to be a part of this reputed & esteemed institution. Its been 3 years since then and today I have grown both in knowledge and confidence. I am able to face new challenges and work with confidence. I have received excellent clinical exposure in our spacious and state of the art laboratories. The lecturers have moulded me both in my theory classes and for life. I am grateful to this Institution for all that they have done and am much obliged to them. Belonging to the batch of 2009, I have lots of memories to take from Narayana Hrudayalaya as a Narayanee. It was always a pleasure to be a part of NH. It has thought me to work positively in any situation. I am indeed thankful to all my lecturers and mentors who helped me to acheive perfection in my work. I miss all my college days where we used to finish clinicals and then request lecturers to end up their class early so that we can hangout. The best day was "things that happened after the First College day". When I look back at these days, I feel I had really a short college life and would like to get back to those days. From a packet of biscuit and bottle of water for Dr Sharma to preparing brain heart infusion media in microbiology lab with Ms.Prabhavathi, preparing for the Inter College Fest, the practices, the arguments, the fun - the days were indeed memorable. A coffee in CCD and a burger in MCD will always keep my friends in my mind. I have taken every single memory with me and will hold them forever. I really miss NH a lot. Admissions for all the graduate and post graduate programs at our colleges in Bangalore & Kolkata is open for the academic year of 2019. Contact Kolkata for Nursing Courses. 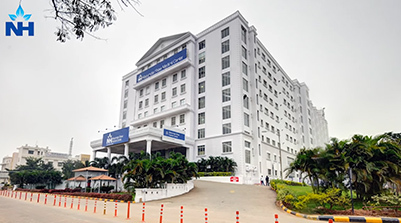 Contact Bangalore for Nursing,Physiotherapy and Allied Science Courses.